Our New Orleans French Quarter Historic Segway Tour explores downtown New Orleans, including the world famous French Quarter. This tour starts on Canal Street, which is New Orleans’ main thoroughfare downtown. Your Segway tour guide will then lead you through the French Quarter where you will see famous Bourbon Street Conti Street, and some of New Orleans’ famous architecture. Gliding through the French Quarter, your guide will lead you to Jackson Square, St Louis Cathedral, and Café Du Monde. Your New Orleans Segway tour continues to the Mississippi River where you will get picturesque views of the city, visit the Steamboat Natchez, and Woldenburg Park. Next, your tour guide will lead you past the Shops on Canal, the Audubon Butterfly Garden, Audubon Aquarium of the Americas, Harrah’s Casino, and much, much more. Our New Orleans French Quarter Historic Segway Tour explores downtown New Orleans, including the world famous French Quarter. This tour starts on Canal Street, which is New Orleans’ main thoroughfare downtown. Your Segway tour guide will then lead you through the French Quarter where you will see famous Bourbon Street Conti Street, and some of New Orleans’ famous architecture. Gliding through the French Quarter, your guide will lead you to Jackson Square, St Louis Cathedral, and Café Du Monde. Your New Orleans Segway tour continues to the Mississippi River where you will get picturesque views of the city, visit the Steamboat Natchez, and Woldenburg Park. Next, your tour guide will lead you past the Shops on Canal, the Audubon Butterfly Garden, Audubon Aquarium of the Americas, Harrah’s Casino, and much, much more. 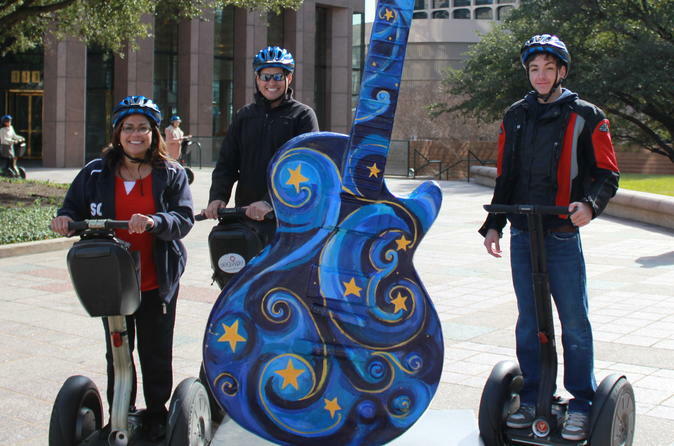 This Segway tour is the perfect way to sightsee the may landmarks and historic areas that makes New Orleans a world class destination.